Do you offer a drop shipping service, order fulfilment or integration with other sites? I am just getting started, can I apply? Contrado is an aspirational fashion, home, and lifestyle brand. We've been turning talented designers creative visions into high quality products, since 2002. All our products are handmade to order in our West London factory. Our design, product development, customer service, marketing and production teams are all under one roof, making us a unique production resource who can turn your ideas in to products very quickly. As we create each item to order, we can offer discounts to resellers on fabric print or fashion and homeware products with no minimum orders. We specialise in short print runs; we create each product, by hand, one at a time. This means the products we produce are as unique as the art and designs of the creative business owners we collaborate with. Our wholesale accounts are invite-only; we have limited resources and we want to control the size of our community so we can offer impeccable service to the businesses who have accounts with us. Having a Contrado wholesale account means you can get the best pricing when buying in bulk for resale. You can design your products online and save your designs to your product catalogue, we have over 250 product and 100 fabrics to choose from. Our model is ideal for small creative businesses and independent creatives who are looking for high quality, premium products and don't want to manage large inventories or commit to longer print runs. Creative businesses and independent artists or designers who have print designs ready to upload and start creating a product line. 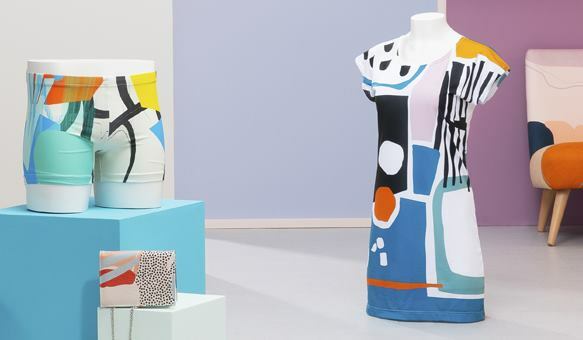 Designers who are a place to sell, whether it's your own website, a regular market stall, events, exhibitions, trade shows, a store on another online marketplace, or a bricks and mortar shop. With a wholesale account you'll get the best pricing on your stock. We support emerging and established designers whose work will print well using our production methods, so would love to see your design work before opening an account. We want to support as many designers and creative businesses as possible. As we grow we can support a larger community of wholesalers. Wholesale accounts are invite-only, you can apply for an account here. Discounts increase in tiers, based on the number of finished products (from our clothing or homeware sections) in the order. Large items like furniture and suitcases which can be very expensive to ship, are discounted at flat rates of 20% for single items, or 25% for multiple items and do not count towards the above tiering. Contact us for a full list of these items. 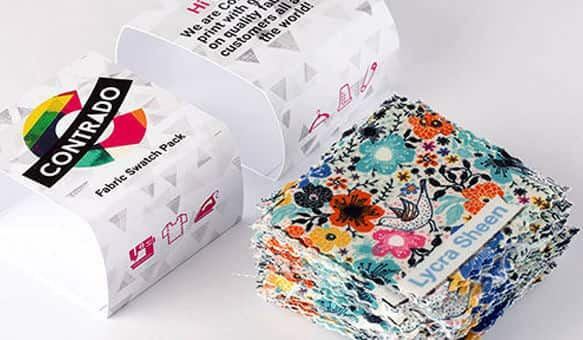 Fabric printing is discounted at 20% off our standard pricing, which includes automatic discounts based on how many square metres are in the basket. For pricing breakdown for each fabric, see the discounts section on each fabric page. When you’re logged in to your seller’s account, discounts will automatically apply when you add your products to your basket. 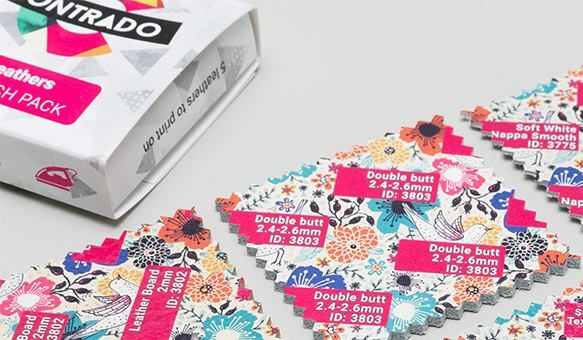 not included in the wholesale discount system: items under £15, fabric swatch packs and test prints. Contact us for a full list of these items. For large orders production times can be extended. Please contact us before placing your order if you have a specific deadline. Once you're set up with a wholesale account, discounts are applied automatically to all products you design, whilst you are logged in to your account. You can mix and match any number of designs, sizes, and products; you don’t need to order multiples of the same product, design or size to qualify for the next tier. This is totally up to you! Whether you want to sell online, via other online marketplaces; at an exhibition, event or trade show; at a market stall or bricks and mortar store: we would love to help you design and produce your dream range. We want to see evidence or existing or potential sales channels when you apply so we know we are supporting a legitimate business with potential to grow. We can fulfil orders, though we don't have an integration or API set up just yet. This is a very exciting update for the future. If you want us to ship directly to your customer, simply enter their address as the shipping address at check out. This is a great opportunity for you to design products, test the quality and see how your customers react to our product, we are sure you'll be impressed. Our wholesale accounts give you the best pricing, we'll also keep you informed of new features, like drop shipping, and new products we launch. Yes, we welcome applications from all levels of creative. As this is a new program we can only open a limited number of accounts. We are still updating and testing new features for the platform so need to dedicate resources to support our community. As the system develops further we will be able to offer more account for resellers and support a larger community. We will want to see a portfolio of design to assess your creative skills and also see evidence of potential sales channels. Please include a link to your website, online store, social media or similar. Please also give information about how and where you plan to sell the product.